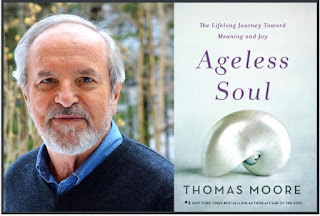 On 28 January 2018 Karen Austin, ChangingAging contributor, reviews Thomas Moore's new book, Ageless Soul: The Lifelong Journey Toward Meaning and Joy: "Ageless Soul: Book Review". Austin writes, "I was particularly invigorated by the way Moore looks at the issues such as depression, anger, changing sexuality, illness, and loneliness. He has entire chapters about each of these and other very human challenges. In each chapter, he redefines the issue, encourages people to directly face these challenges, and talks about how to scale each of these and how to find the positive value in each." She concludes, "I’m in my mid fifties, and I plan on rereading this book once a decade. I have a feeling that I’m missing some of the meaning because of my relative lack of experience with aging issues. 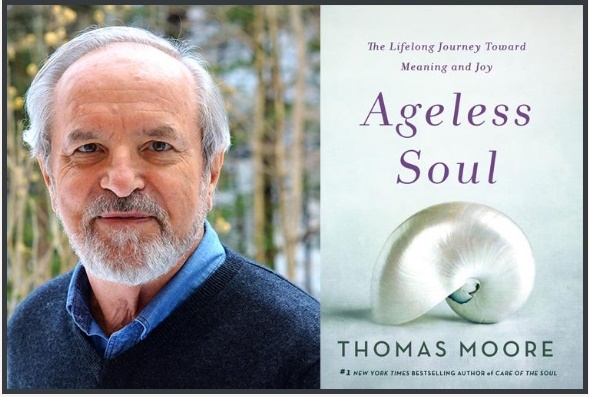 But where I did recognize age-related challenges, Moore offered me a path through obstacles and into opportunities that only elders can enjoy."